Height: 6' 1" Weight:207 lbs. Background: By NFL standards, he was not a fast receiver. Some would say he was a bit slow. When it came to productivity, he was lightning quick. Former LSU star Eric Martin lasted until the seventh round of the 1985 draft when the Saints summoned him with the 179th overall pick, the 27th receiver chosen in that draft. In retrospect, it was a stroke of genius. Martin became a starter in his rookie season and never gave up that spot in nine years with New Orleans. He was strong, physical, caught virtually everything and was durable, playing in all 16 games in eight of his nine seasons. In fact, he missed just one game in his career with the Saints. Martin ranks second all-time in receptions (532) and receiving yards (7,854) in franchise history to Marques Colston, ahead of Joe Horn. He is sixth in touchdowns with 48 and tenth in scoring in team history. He ranks 16th in games played in Saints history with 143. Martin was a picture of consistent excellence. He had his best season in 1988, catching 85 passes (fourth in the NFL) for 1,083 yards (ninth in the NFL) and seven touchdowns and backed it up with another 1,000 yard season in 1989, catching 68 passes for 1,090 yards and a career-best eight touchdowns. He posted another 1,000 yard season in 1992, snaring 68 aerials for 1,041 yards (seventh in the NFL) and five scores. 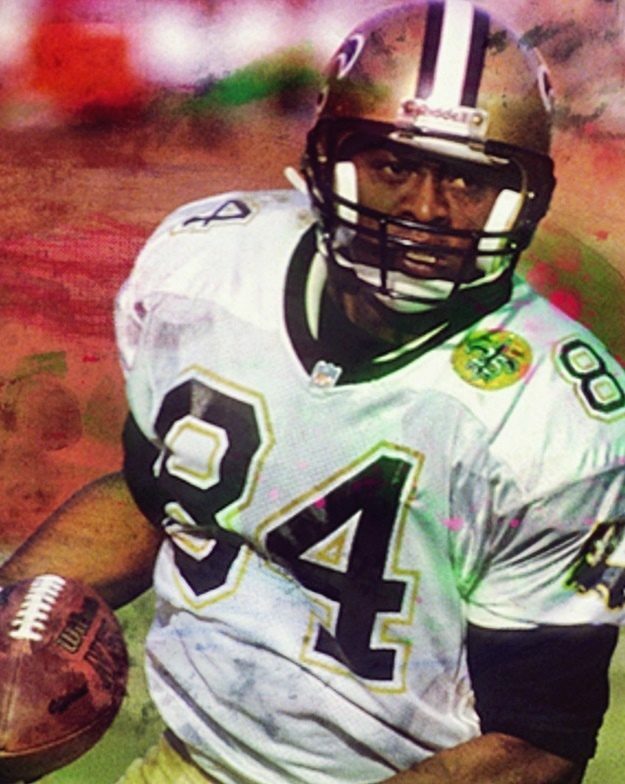 He led the Saints in receiving yards for seven straight years from 1987-93. Martin had 18 games of 100 or more yards receiving. Martin was a primary force in the New Orleans Saints finally becoming a winner for the first time in 1987 and was a prominent contributor to four playoff teams in New Orleans. He played his final season in the league in 1994 with Kansas City but he will always be remembered as a Saint. Greatest Moment: Unfortunately, the Saints did not win a playoff game despite the four appearances with Martin. Not known for his flashy plays or big games, Martin had many excellent performances. 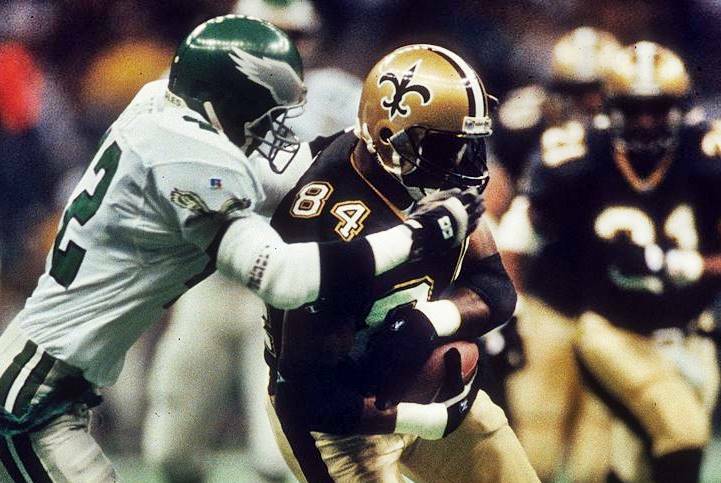 One memorable one was on Oct. 18, 1992 at Sun Devil Stadium in Tempe, AZ when the 4-2 Saints took on the Cardinals. Martin caught an 11-yard touchdown pass from Bobby Hebert as the Saints battled back from a 14-3 deficit to defeat Phoenix 30-21 for their third straight win in the midst of a hot streak in which the Saints would win 9-of-10 games en route to a superb 12-4 season. In the game, Martin caught eight passes for 151 yards and the touchdown. Another memorable performance was in 1988, when the Saints hammered John Elway and the Broncos 42-0 in the Louisiana Superdome on Nov. 20. Martin caught eight passes for 111 yards and two touchdowns from Bobby Hebert. Honors: Martin was inducted into the Saints Hall of Fame in 1999. He entered the Louisiana Sports Hall of Fame in 2006. Martin was named to the Pro Bowl in 1988.